With K4K's help, organize a team-building event like no other. Smiles, laughter, and the rewarding feeling that you are helping such a worthwhile cause are guaranteed. Advertise in the K4K tournament booklet and on our website! Our tournament booklet for both hospital foundations includes the history of our event, what the money raised will purchase, team information, and sponsor advertisements. The booklet is given out to participants, guests, volunteers and sponsors. Sponsors may also appear on our website. 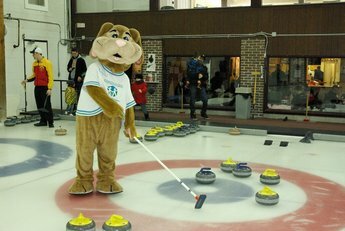 Get the maximum exposure for your corporate sponsorship by joining the Kurling for Kids “Circle of Friends”. There are various levels to suit all corporate sponsors. Act now! We can use prizes for our Kurling for Kids Thank You draw, products for our Fundraiser incentive draw, and services for any of our K4K events. This helps us to reduce costs which translate into more money for the hospitals. All prize, product or service donations will be recognized on the website and on special thank you pages in our tournament booklet.